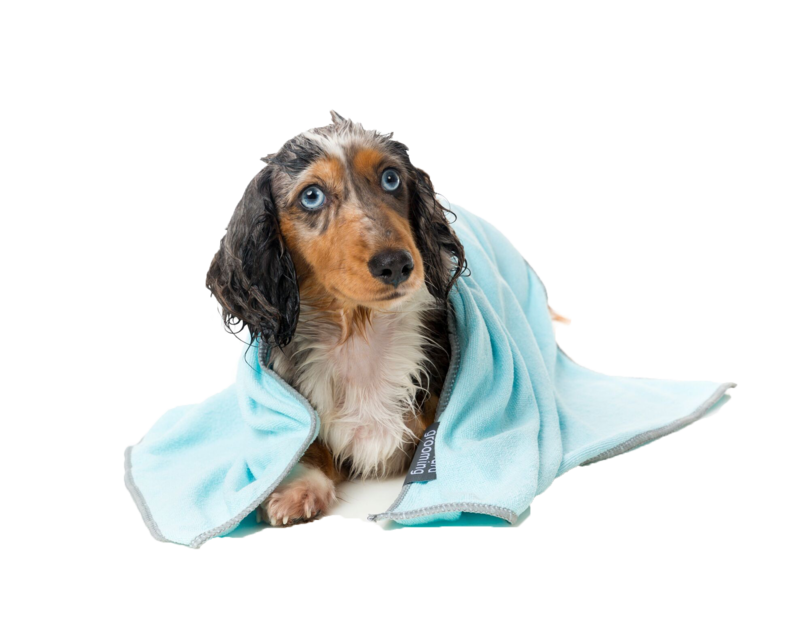 Our range of luxury dog towels are perfect for wiping mucky paws after a walk and they are so snuggly and soft your dog will love wrapping up in them after a nice bath. Some of our luxury dog towels can be personalised with your pets name. Choose from a wide selection of colours or pair a dog towel with a lovely dog blanket to make the perfect gift for any dog lover. Available in 3 fabulous colours, our luxury dog towels are made from the finest Egyptian Cotton. Out theory is that if you love the soft, cushiony feel of a towel when you get out of the bath, your dog will too. Choose from plum, orange or lime green, each with contrasting bone motifs, our luxury dog towels come in a set of two so you will always have a spare at hand. Perfect for use after a bath or for wiping wet, muddy paws after a nice walk.